Mobile phone repairing course me aaj ke lesson me aap learn karenge ki pcb per sections kya hai, yah kaise bane hote, inke krya kya hai. Mobile phone repair krte time pcb per different sections ki jankari hona bahut hi jaroori hai. 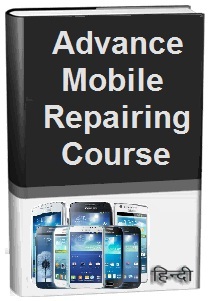 Free complete full mobile cell phone repair training course in Hindi sikhte rahne ke liye aapka dhnaywad. 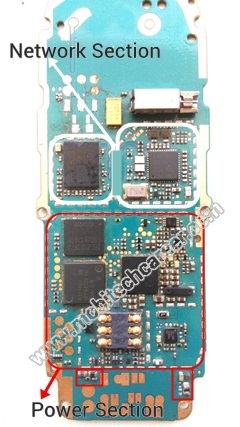 Mobile printed circuit board per three types ke parts lage hote hai jinke naam hai – card level, small or big parts. PCB per kisi bhi section me in three types ke parts sath me lage hote hai. To chaliye shuru krte hai pcb per sections kya hai ? JIs type se kisi bhi karya ko perfect krne ke liye state governments alag lag vibhag banati hai. Un vibhago se alag – alag karya kiye jate hai. Usi tarah se mobile phone PCB per pratyek parts ke apne alg alg section bane hote hai, jisse har ek parts ka section apna karya perfect tarike se karta hai. Circuit board per mainly 2 sections bane hote hai: 1. Network Section, 2. Power Section. Adhiktar mobile phones me network section pcb per power section se uper bana hota hai. Is section me power section ki tulna me small parts adhik lag hote hai jabki big parts or IC bahut kam lage hote hai. Chunki power section network section se kai adhik vyapak hai.